Teronga is a blog covering exciting and cool articles, tutorials and news about the Web world, technologies, gadgets, websites and social networks. The latest web technology news and trending delivered via RSS daily. In today’s post we will review the email account configuration settings in Outlook 2010 in full details. Once you have successfully configured an email account in Outlook 2010 and want to view the account’s settings or properties, then here are the simple steps you can follow. In Outlook 2007, the account settings could be launched from the Tools > Account Settings option, while in Outlook 2010, you simply hit the Office button(or File) and click the Account Settings button. It will display the Account Settings window with Email tab open, if you have configured multiple accounts then all of them will be listed here. You will see the tabbed interface here, by clicking any particular tab you will see its relevant settings for the selected account. Under the tabs, you will see plenty of useful options, the New option lets you configure a new email account, the Repair option is used to repair the Outlook 2010 settings (you often need to perform this operation if your email repository size is in GB’s), the Change option lets you modify the settings of any particular email account. If you have configured multiple accounts in Outlook 2010 then you can set any particular account as your default by selecting that account and hitting the Set as Default option. The Remove option deletes any particular email account. At the bottom of the above displayed window, you will see the path of the data file. This data file is used to restore your emails, in the case of any disaster situation. Lets explore more into the Email settings, hit the Change button and it will launch the wizard from where you can view/modify your configured email account settings. At the very first step, you will see User Information, Server Information (Server Type, Incoming and Outgoing Server) and Logon Information( Email account and password). For more settings of your email account, click the More Settings button and anew dialog window will open. Now, under the General tab you can specify the name that appears on the previous menu’s listing, as well as your organization name and your reply email address. Under the Outgoing Server tab, you can instruct Outlook 2010 to use authentication when sending emails. When connecting through another service provider, you will want to have this checked. Otherwise it is unnecessary. The Connection tab lets you specify how Outlook 2010 will connect to the internet. The Advanced tab lets you control the port and encryption settings for your account. Even though these settings could be found in Outlook 2007 as well, Microsoft has indeed improved Outlook 2010 to be more user friendly. Feel free to comment if you have any query! Having a clean desk is not a difficult task at all!!! If your desk is like this you are crazzy!! Once my boss told me that the first impression upon a new employee can be created by watching his/her desk. Really it works to have a clean desk in the morning. It will let you have a good and stress-less start of the work-day. Before we continue to the tips of a clean desk, we have to realize the benefits of it. Its because maintaining a clean desk is entirely an psychological practice. When you see a less-distracted desk, it will allow your mind focus clearly on your most important projects of the moment rather. It will give you more freedom to pursue the project of your choosing and obviously it will be determined by you. When you start a new work-day, it brings new opportunity as well as the potential of completing something good. But when you see the work-loads of the previous day, it will create a negative impression upon your enthusiasm and reduce your performance along with giving a imaginary pressure. Beside, as my boss said, it will help you to earn an extra reputation about your focus on work and constructive method of working. Now, it will be a lot easier for you if you keep all these things in your head. Though it needs only a little practice to keep a clean desk, but you have to follow some little tricks to keep your desk clean. 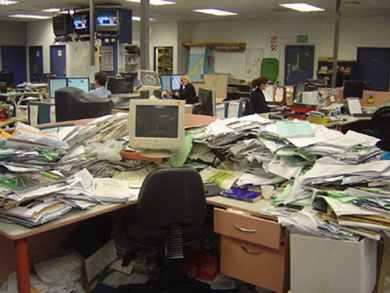 You can start shuffling your desk by reducing your office items. It’s an simple and easy task and sometimes simple enough to get overlooked. When you leave your desk at the end of the day, just have a look at the surface of your desk and find out what is unnecessary for the next day. Make sure that you are making the proper and efficient use of your drawers. Your drawers keeps all your projects, tools and supplies at your fingertips while still removing them from your sight. You can also make categories of your drawers. For example: keep all your stationeries in the firs drawer, all current projects in the second one etc. Just allow only the current project on your desk. To me, the worst enemy of desk clutter is unfinished projects. Sometimes, a project lay on your desk for weeks and causing extra load at your desk. When you start your day, try to look at all the unfinished projects, and if they took 20 minutes to complete, finish them at first. But if they took longer, place them to your specific drawers. Be more digitized in your daily tasks. A simple practice of having contact program and schedules in an electronic gazette can reduce 90% of your notes and lists hanging at your desk. 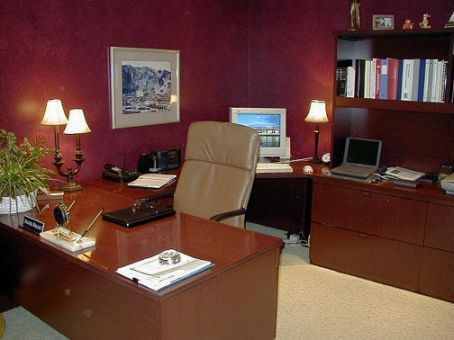 This is indeed a good practice that will help you a lot to keep your desk free out of all irritating lists. While your computer can be helpful to eliminate the clutter from your desk, it can cause distraction of its own. Help your physical desk with a familiar look of your computer desk and find non-distracting wallpapers along with removing all unnecessary icons on the desktop. At last, take the last five minutes of your office hours to clear the surface of your desk. Be sure that it looks good and not distracting to you. Trust me; your morning will greet you with the same desk that you left last night. Microsoft Visual Studio Express is a set of freeware integrated development environments (IDE) developed by Microsoft that are lightweight versions of the Microsoft Visual Studio product line.Visual Studio Express 2012 for Web is a free development environment that programmers can use to build projects such as ASP.NET applications and Windows Azure cloud services. With Visual Studio Express tools, you can build the next great app for Windows 8, Windows Phone, and the web. They’re entirely free. 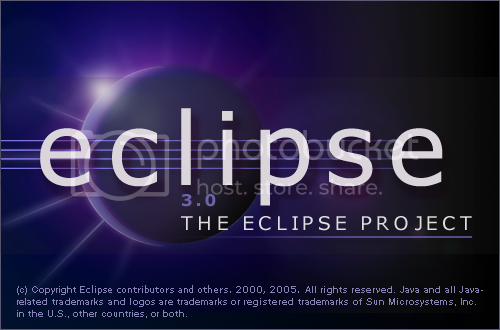 Eclipse is the best alternative of Microsoft’s Visual Studio. It’s interface is lot cleaner and concise than Visual Studio and the languages that are possible to use extend past the .Net Framework. You can develop Android applications via the Android SDK, it is fully extensible to use languages such as Ruby, C, C++ and many more. 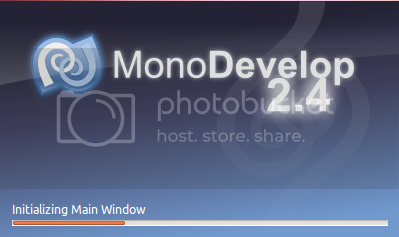 Monodevelop is an IDE primarily designed for C# and other. NET languages. Developers can quickly write desktop and ASP.NET Web applications by using MonoDevelop. With its’ features like integrated debugger, code completion for C, C# & being easily customizable this IDE is quite easy to work on. Yahoo launched a browser named “Axis” ! Like Google’s Chrome, one of the most powerful web portals in the world Yahoo launched a browser. The interesting fact is that it’s actually not a fully stand alone (Full functional )browser at all ! This is a browser extension or add – on. It works with your current browsers. 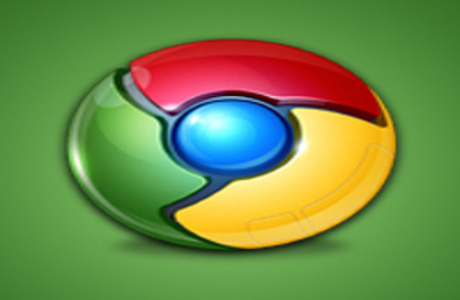 Right now, it is providing extension for Firefox, Chrome, Internet Explorer and Safari. It actually in association with your current browser, makes a new look which is quiet similar to a browser. Besides, it also has apps for your mobile devices like Apple, Android and lots more. Because of the nice features of it , you will soon start to like it! With a very simple and light weight UI (User Interface), its going to win your heart. Please have a look at axis here. http://axis.yahoo.com. Who knows in future it probably going to be a fully functional browser ! Hope you enjoyed it and our article covering this coolest apps/ add-ons for your browser . Please share this article and also comment to let us know about it. Thanks for being with Teronga. Mouse Pointer Does Not Move Smoothly. Mouse Pointer Too Fast or Too Slow. Mouse Not Working At All. So now How to Fix those Mouse Problems ? Don’t worry let’s start Fixing those Problems one by one . 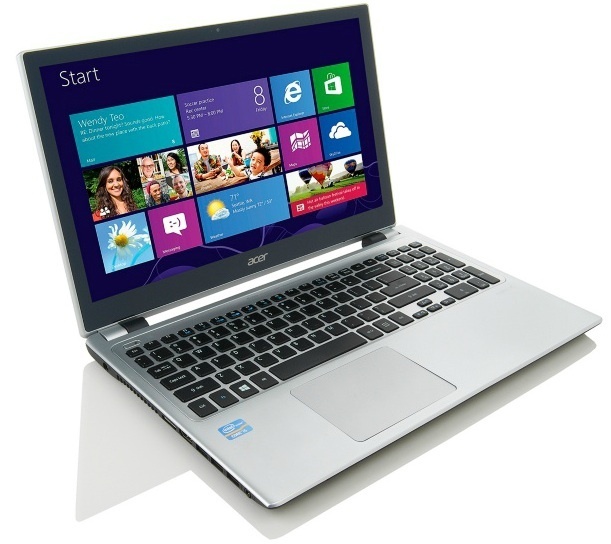 This Problem caused because of high CPU usage or you can say by hanging of some application . In such cases computer mouse will freeze. 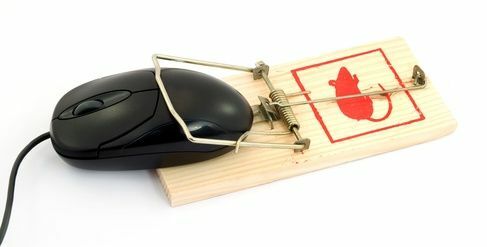 So in those cases wait a few seconds then see if the mouse starts to respond but If that does not start working , try to launch task manager from keyboard (press alt+ctrl+delete together ) and try to kill the application that not responding . In worst case 🙁 you might have to power-off and restart your computer. This Problem mainly occurred because of dust at the bottom of your mouse surface or mouse-pad especially for laser mouse or optical mouse .So Clean dust at the bottom of the mouse surface and also mouse pad or try changing the mouse-pad that will also help a lot. You can configure mouse pointer speed as your need and comfort. For configuring go to Control Panel >Hardware and sound >Device and Printer > Mouse and now set the mouse speed as you like 😀 . Loose connections or mouse connector connected to wrong PS/2 or USB port is the main cause of this problem . In that case, first you can check the physical connection. In worst case 🙁 your mouse may have gone dead so its shopping time 🙁 🙂 . You can configure your double click speed as per your comfort zone . For this you also need to go Control Panel >Hardware and sound >Device and Printer > Mouse.Here you can set up your mouse double-click speed.